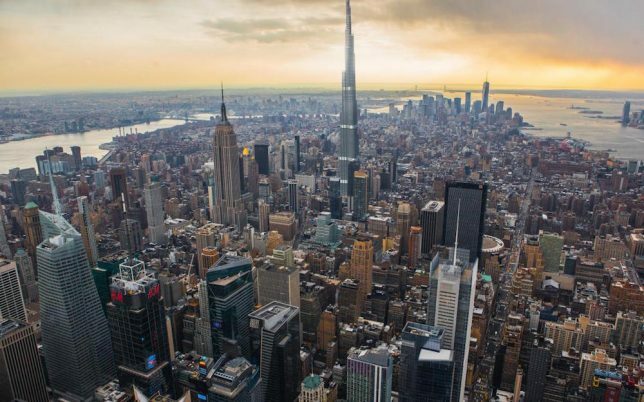 When you see the Burj Khalifa photoshopped into New York City’s skyline, glimpse a B-2 bomber on an NFL football field or spot the largest scorpion that ever lived creeping up next to a cat, you get a better sense of just how big these things are. 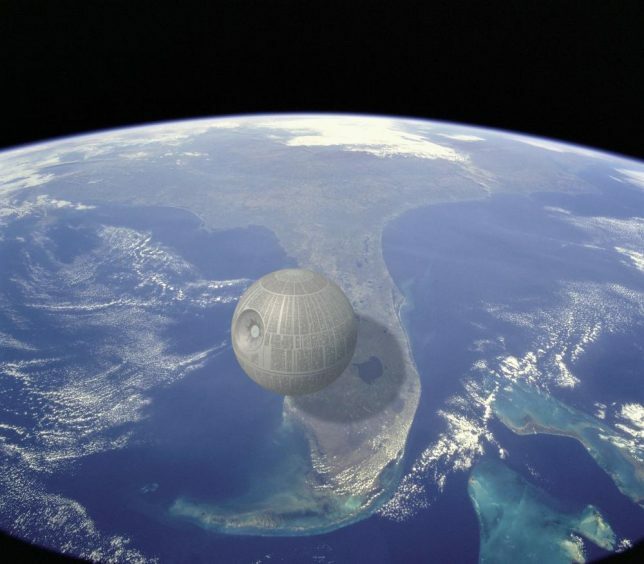 Kevin Wisbeth, who created the YouTube series ‘A Quick Perspective,’ offers up a bunch of digitally altered images mashing together various images and objects to give people a real sense of scale. “These are all concept images that don’t seem appealing enough for a video,” he says – but the results are stunning nonetheless, starting with the 1,729-foot Willis Tower (the second-tallest building in the United States) placed inside the Mir Mine, one of the deepest mines in the world (pictured top.) 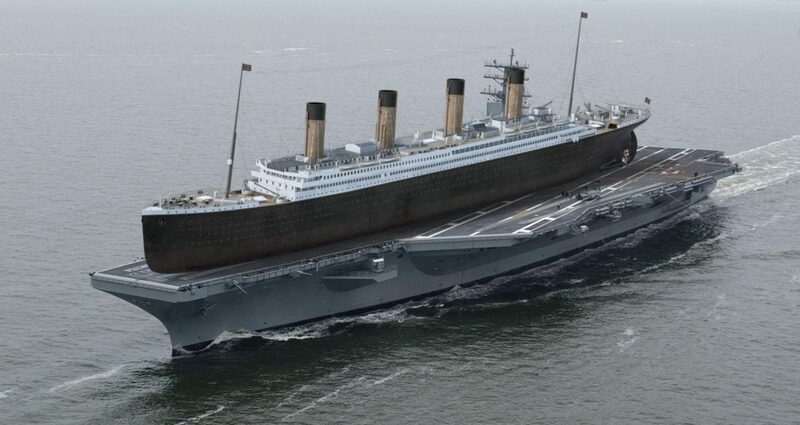 The second depicts the 882-foot-long Titanic atop the deck of the U.S.S. Ronald Reagan, which measures 1,092 feet in length. 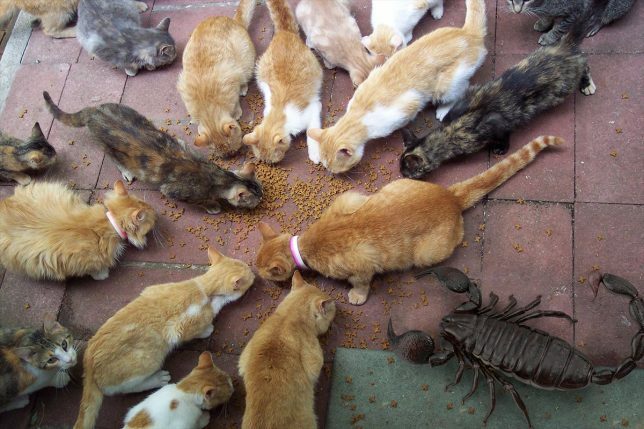 The Pulmonoscorpius kirktonensis, or Breathing Scorpion, was a prehistoric arachnid that grew up to 24 inches long, or about the size of a contemporary house cat. 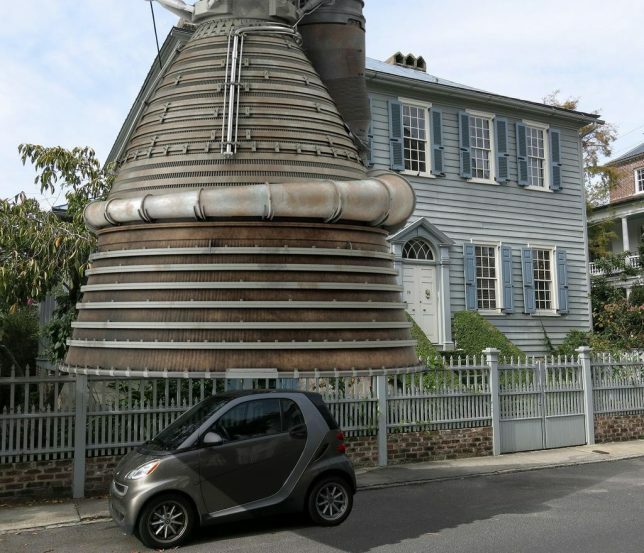 The M-1 Rocket motor, designed in the ‘50s, was never actually built – but if it had been, it would have boasted a diameter large enough to fully cover a Smart Car with two feet left over on either side. 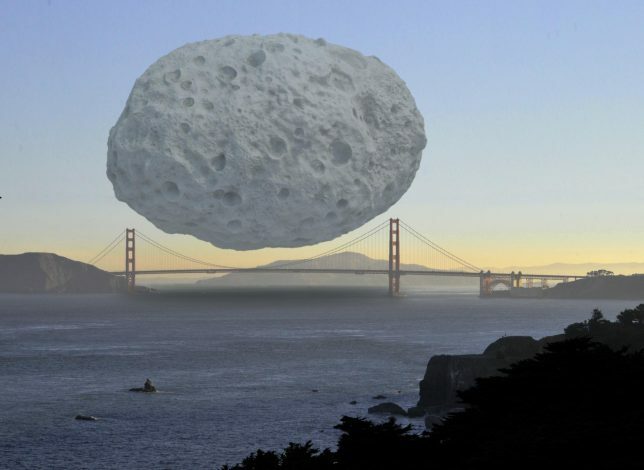 The Dionysus asteroid, which is part of the Apollo asteroid belt and contains resources estimated to be worth $2.6 trillion dollars, “wouldn’t even surpass the bridge span” of the Golden Gate Bridge if placed above it. The Burj Khalifa pokes into the sky above Manhattan, easily surpassing One World Trade Center by almost 1,000 feet and the Empire State Building by 1,300 feet. It’s currently the tallest structure in the world at 2,722 feet tall. See more of the images on Imgur.